Windshield cracks come in many shapes and sizes. Some start as tiny nicks that are barely visible but eventually grow into a problem that is too large to ignore. 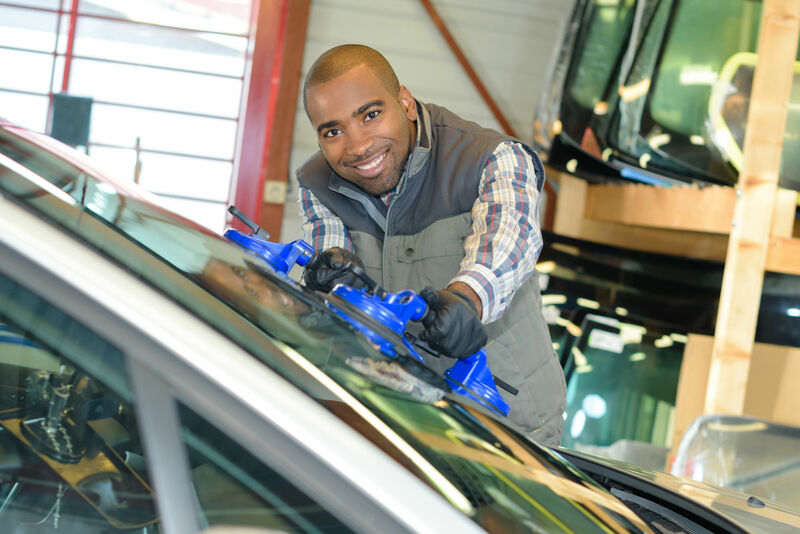 Many times, the cracks can be taken care of with a simple windshield repair. Large cracks or underlying issues may require a windshield replacement. Sometimes find your windshield cracked with no obvious cause. Knowing what caused the damage will help you figure out what solution is right for you. Here are five common reasons for a cracked windshield. Rocks kicked up from gravel roads or stones falling from the bed of a truck hauling debris are a common cause of windshield cracks. Cracks caused by stones may seem innocuous at first but they can grow quickly. It is always a good idea to evaluate your windshield when you see any amount of damage done by a stone striking it. Windshields are constantly being buffeted by small bits of dirt and debris. A combination of windy conditions and highway driving means that these tiny objects are hitting your windshield at upwards of 100 mph. Over time this constant bombardment can lead to chips that require a windshield repair. Windshields are designed to withstand a lot of punishment but they can fail if they were improperly installed. Windshields that have already been replaced are far more likely to suffer from this than vehicles that still have their original windshield. Windshields that rattle are a telltale sign of a poor installation. This can happen if the adhesive that keeps the windshield in place was not applied properly or if it was not given an appropriate amount of time to dry. The rattling means that the windshield is vibrating and will inevitably crack. A windshield cracked due to poor installation will require a windshield replacement. In some cases, windshields crack because of imperfections present in the glass. Windshields are designed to withstand high amounts of pressure and even absorb some impact in accidents where a car rolls over. This means that they are already under a large amount of pressure when installed. Defective glass often cracks around the edges of the windshield.